Step 4. Click the "To JPG" button under the Convert tab in the PDF Converter toolbar. The final group of conversion formats offered by PDF Converter are image formats. This allows you to save entire PDF documents, or single pages as image files. 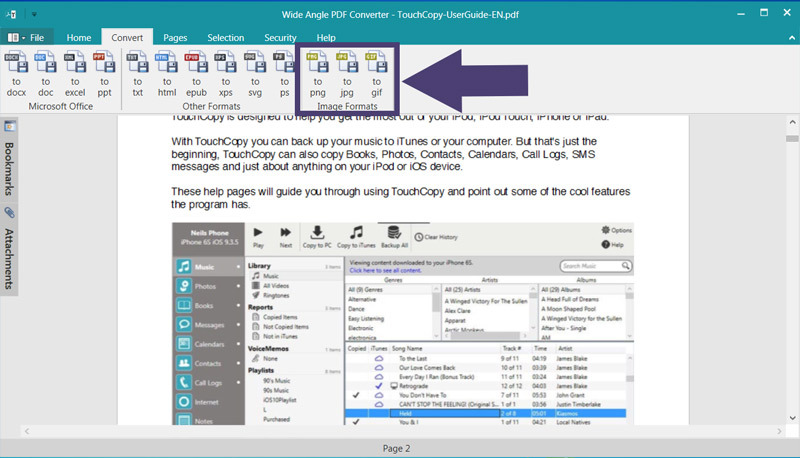 To do this, simply open a PDF in PDF Converter, then click the image format you want to convert to from the Convert tab. PDF Converter will then ask where you would like to save the image to on your computer. Once your selection has been made, click "Save" to complete the process.